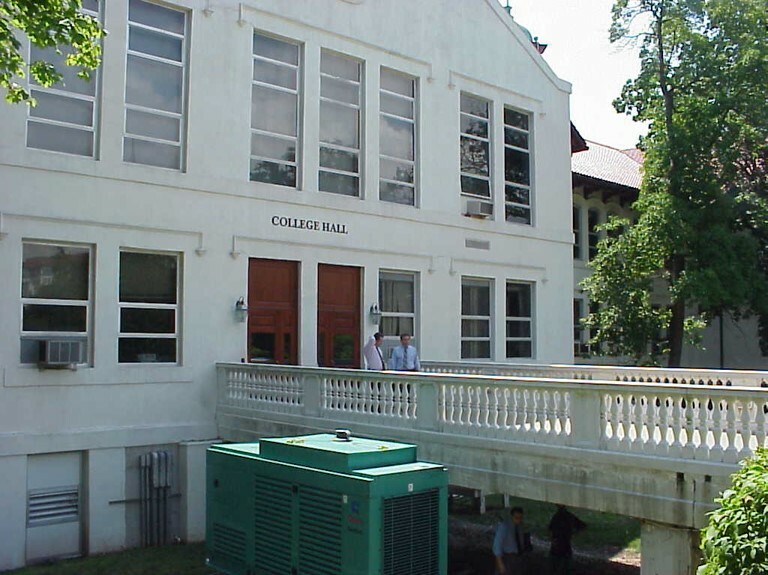 EI Associates was retained by Montclair State University to provide a structural assessment of the existing steel reinforced concrete pedestrian bridge which provides significant pedestrian and vehicular access to College Hall. The bridge structure has deteriorated to an unsafe condition and required extensive rehabilitation. The bridge is constructed of four (4) precast double tees which span about 35 feet. These tees sit on the existing masonry wall at the south end and on concrete abutment at the north end. Architectural balustrades are supported by structural steel members installed adjacent to the double tees at the east and west of the bridge and the approach slab. 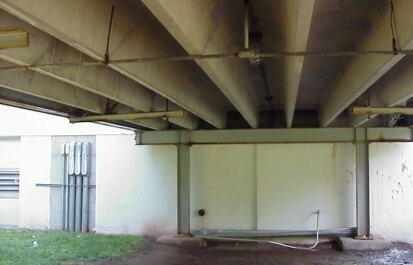 Pursuant to our assessment, EI designed structural improvements to the bridge structure covering the replacement of deteriorated steel sections and concrete. 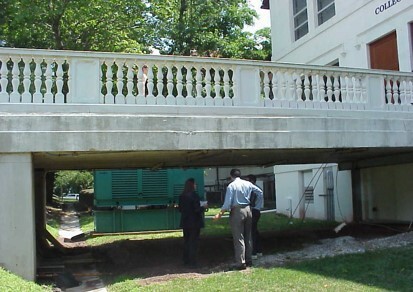 The repair salvaged the existing balustrades and sought to preserve the historic quality of the bridge structure.